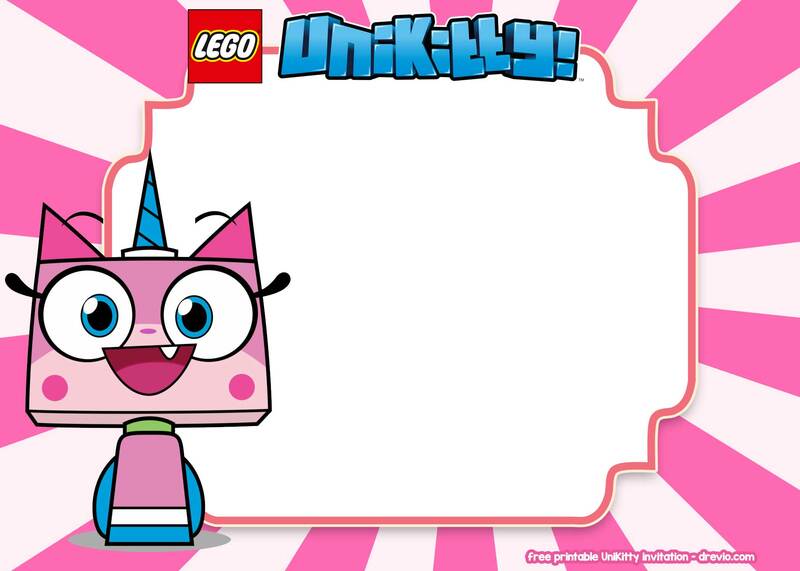 Loves the new LEGO Movie? 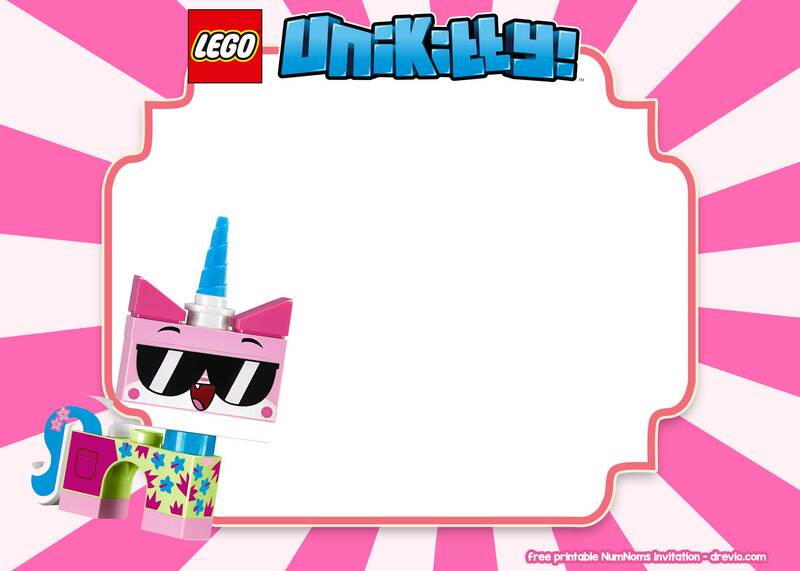 We have a good birthday template if you want to celebrate your next birthday with our free Unikitty LEGO invitation templates. You can get the invitation below for free for your personal use only. 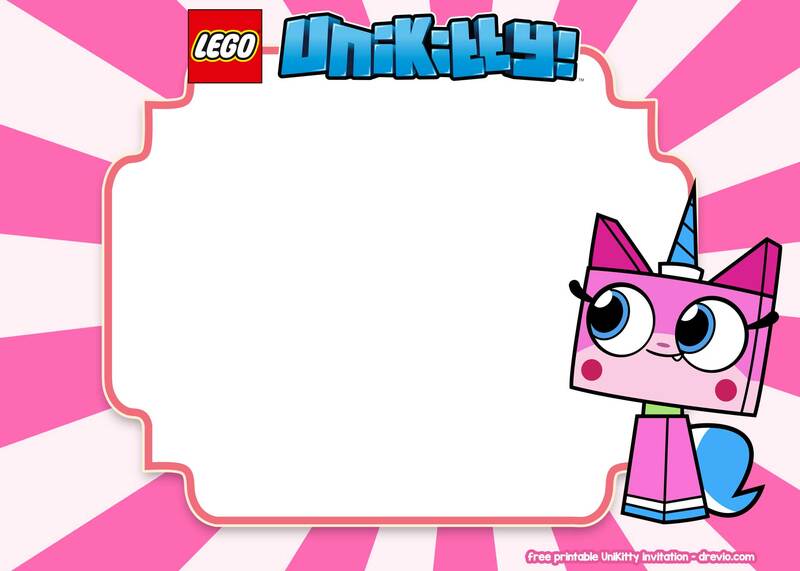 These invitations are free to use. You can download it easily by clicking on the invitation, the image will popped-up and right click the image, then save the image as. Those invitations comes in 5×7″ invitation size which will fit to any cardstock paper you find on Amazon. We always recommend cardstock paper which bring authentic and premium feeling to the invitation. I’m sure that your invitees will love the invitation. You can download and write down your birthday party details on it like time, date and location of your birthday party. 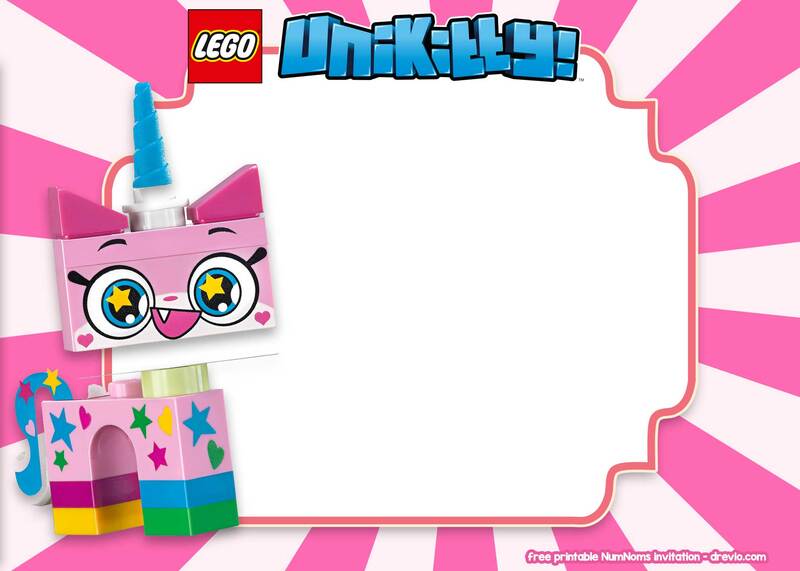 You can use cute LEGO birthday wording. Use your creativity to edit and write down the party details with a pen or a marker. If you’re able to operate Photoshop or Coreldraw, you can edit it with that image processing software.